Decades later, Alice is living in London, having enjoyed a long successful career as an author. Theo’s case has never been solved, though Alice still harbors a suspicion as to the culprit. Miles away, Sadie Sparrow, a young detective in the London police force, is staying at her grandfather’s house in Cornwall. While out walking one day, she stumbles upon the old estate—now crumbling and covered with vines, clearly abandoned long ago. Her curiosity is sparked, setting off a series of events that will bring her and Alice together and reveal shocking truths about a past long gone… yet more present than ever. At 608 pages, the Lake House is a long read. Even so, I managed to finish it in the space of a weekend. The mysteries are unravelled mainly through Alice and Sadie’s viewpoints. There are other chapters written from multiple perspectives allowing you to get a better understanding of what happened. Alice’s story is written in both the past as a young teenager, and as an elderly woman. I loved that we got to see both the youthful, excitable side to Alice, as well as her more wise and reserved older self. Sadie’s character didn’t seem to entice me as much. The writing itself is beautifully descriptive, dragging you easily into the Loeannath of the past, or seeing it overgrown and abandoned in the present. The multiple mysteries keep you on your toes with plenty of twists and turns. Just when you think you have it figured out, you find you’re wrong and are taken in a new direction. I always enjoy a good mystery. About two-thirds of the way through I began to have an inkling of what would happen at the end. I was right. I was also slightly disappointed that for such a long book it wrapped up so quickly and neatly. Otherwise, I thoroughly enjoyed it. 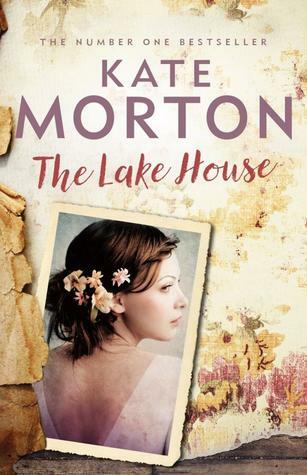 If you love historical fiction mixed with mystery, you might enjoy The Lake House.